Graphic design has always been a skill that I look to improve every year and it doesn’t help that designs trends are always changing. That’s why this year, I’ve prepared a list of graphic design trends to look out for in 2019. This way we can enter the new year with some well-designed graphics prepared and a much needed head start. Whether you’re a dedicated graphic designer or not (like myself) – we should all understand the fundamentals of design. Having strong visuals in your content marketing strategy is essential and incorporating new design trends to your canvas will take your visuals from good to great! Here are 5 graphic design trends you need to know for 2019! The internet is filled with endless amounts of visual content. 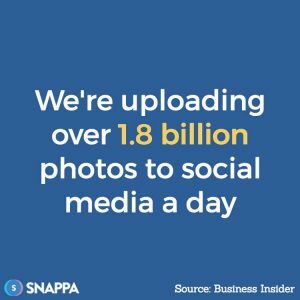 In fact, over 1.8 billion photos are uploaded to social media a day. It isn’t easy to get your message across if your audience never gets the chance to even see it. 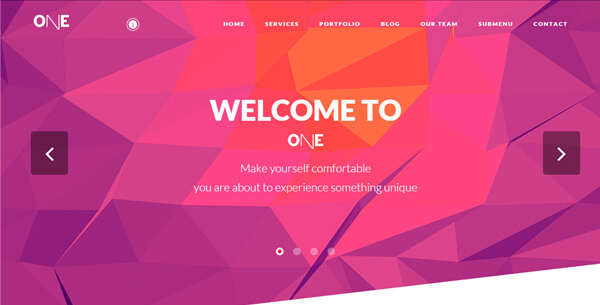 A recommended design trend would be to use loud and bright colors. This will help your content stand out from the meme-filled social feeds. Keep in mind, this doesn’t mean you should go out and write your text with bolded red font using an orange background. Mix colors properly so that they combine to create an eye-catching image. Using tools such as Colorhunt is perfect for choosing color combos that stand out for your visuals. Spotify is a great example of a major brand that has used bright colors to enhance their designs. More specifically, they use a concept called duotone, which essentially uses two shades in one color to help the image stand out. What you shouldn’t do is include muted colors. Muted colors are basically colors that incorporate black within them. These colors don’t pop out as much and will lead to darker images. We’ve seen this style emerge with the Instagram redesign and it’s quickly making its way around major brands. It is very possible for us to continue to see the use of color transitions within graphic design. Using gradients and transitional popping colors may just be the secret formula to great visuals in 2019. Generic is the one thing you don’t want to be in 2019. The one size fits all approach is long gone and we’re moving into a world where companies know a baby is on the way sometimes before you do… I’m not kidding. Stock photos are still very prominent. But It’s time to move away from the basic approach of just sharing a basic stock photo. If you’re going to use stock photos, incorporate the photo into a relevant text graphic. The key is to personalize the graphic as much as possible. Given how easy it is to take professional photos, you should be using authentic pictures to showcase your content. The smartphone that you currently use can actually produce better photos than you think. 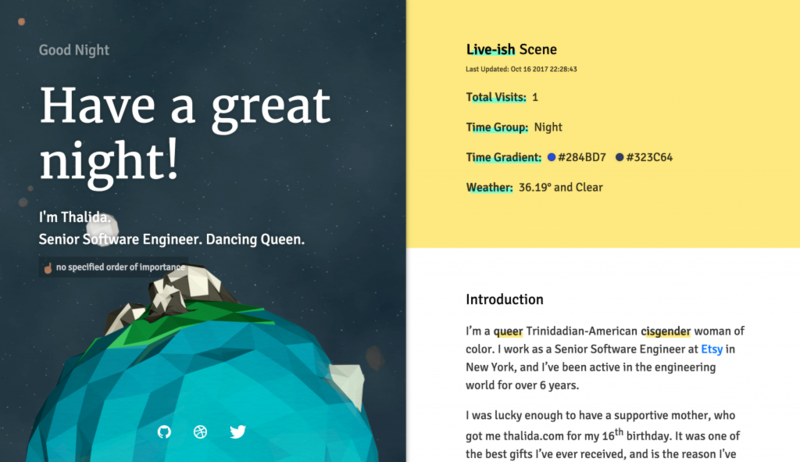 In addition, user generated content is as authentic as a piece of content can get. What’s more unique and effective than having your customer document their life with your product? 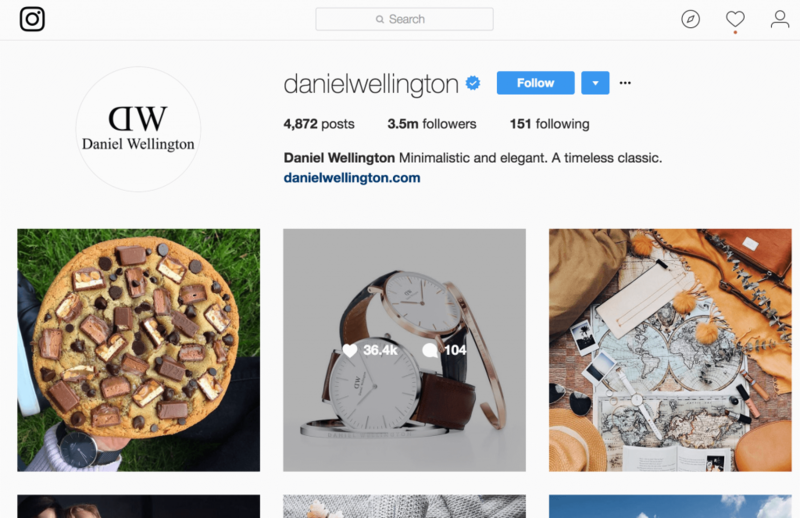 Companies such as Daniel Wellington and Pura Vida have created multi-million dollar companies by using authentic images. As for graphics, there are plenty of ways you can create a customized piece of content without spending countless hours learning Photoshop or Adobe Illustrator. Do some research and look through the analytics to figure out the type of content your readers are interested in. 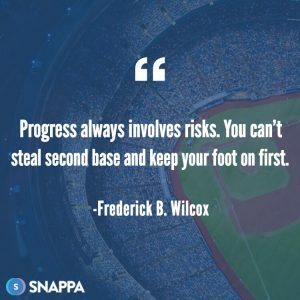 Once you’ve figured that out, you can create simple graphics with online graphic design tools like Snappa (shameless plug). Whether they are quotes, statistics, industry news, you should make sure that your graphics are relevant to your brand. We’re starting to see a human side to design with the emergence of hand drawn design and sketches. 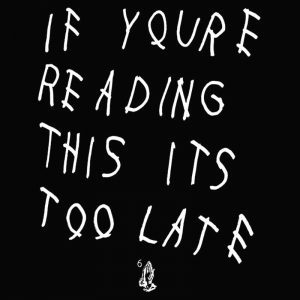 Drake’s album “If You’re Reading This It’s Too Late,” was an interesting design approach and ever since then we’ve seen quite a few major companies using this hand drawn typography on apparel designs and website designs. 2019 is all about having designs that stand out and the design layout is no different. Having symmetry on your canvas has always been a standard in the trade, but companies have started to experiment away from this. Graphic designers are starting to create asymmetric designs that use neutral space in a creative way. Another prominent layout design that we have seen and will continue to see in 2019 is splitting content. What this means is that a design is split into sections where information is dispersed across each section. A common split content layout is having the page as an image, while half the page is text. The use of patterns, lines, and circles have been prominent for a few years now and that won’t be changing anytime soon. You should continue to see patterns incorporated into designs, along with geometric shapes. A design element which has been around for quite sometime now and won’t phase away anytime soon. 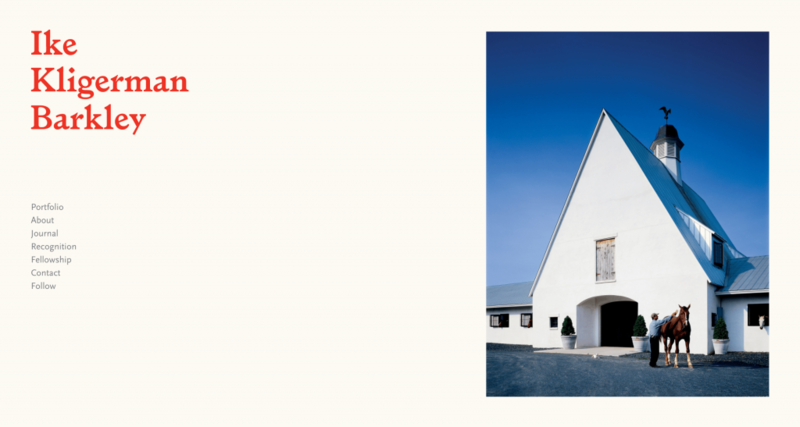 The use of shapes to create designs will continue to be a major factor in 2019. The geometric designs that will pop out the most will be ones that are combined with other popular design elements and something that is unique. A low poly design will give your piece of work a more 3D feel. Poly design has dominated the design environment over the past year and this trend does not feel like it will end anytime soon. The low poly designs are being combined with bright colors, hand drawn shapes, and duotones, to really stand out while giving a much more modern look to graphics. An element of design that has always been important to graphic design is typography. Choosing the right font, font size, font bold, and font spacing is key. In the new year, expect to see BIGGER and BOLDER fonts. I keep talking and emphasizing the importance of having your designs stand out in 2019 and unfortunately it applies here as well. Keep the font style simple and readable, but make sure it’s big enough for the reader to wonder whether or not you’re screaming at them. Cropped Elements – A minimalist approach where texts are cropped so that parts of the letters are missing, but the text can still be read. 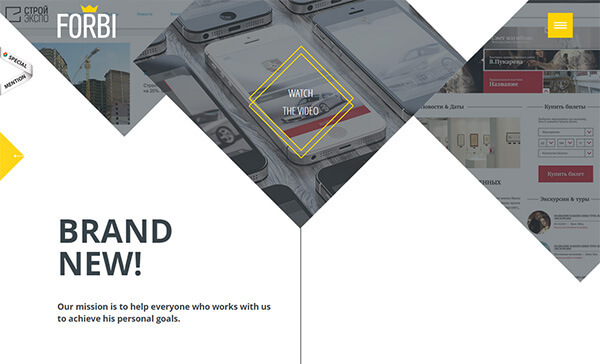 Semi flat design – Soft shadow on flat design which makes it look like the design is floating. When we talk about moving visuals, we’re getting into a more advanced side of graphic and web design. Although these may not apply to you, I wanted to outline some of the trends that are taking place in this technical and cool part of design. An image that has components that move are called a cinemagraph and are seen quite often on platforms such as Instagram and sometimes by brands. This is a unique approach to design and combines video and authentic imagery into one piece. Graphic design is not an easy task and if you haven’t designed before, it won’t be easy for you to incorporate all of the elements mentioned above. Start with the basics and begin to implement authentic visuals first, if you haven’t already done so. From there you can begin to experiment with shapes, font combinations, and combining the elements we mentioned above into a single graphic. Remember because I may not have mentioned this before but, make your visuals STAND OUT! There’s no single graphic design trend that will solve your issues. The best way to achieve a graphic design that works is by testing and by using a variety of different design elements and graphic design trends together. Be different in your designs, but do so with the design trend fundamentals in mind. 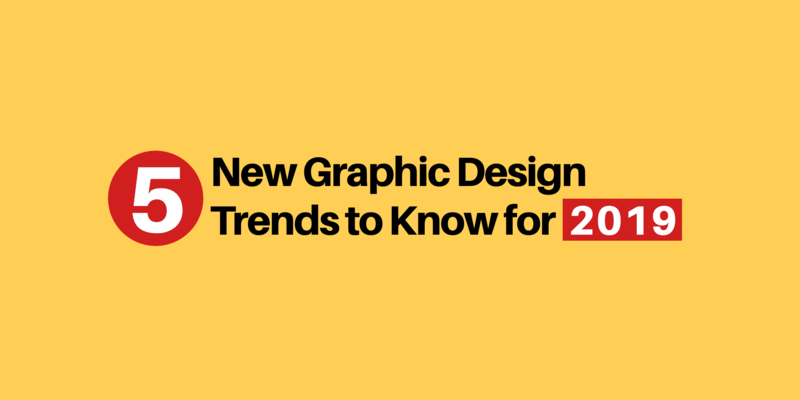 Do you have any other graphic design trends that you think will be prominent in 2019? Leave a comment down below and let me know!